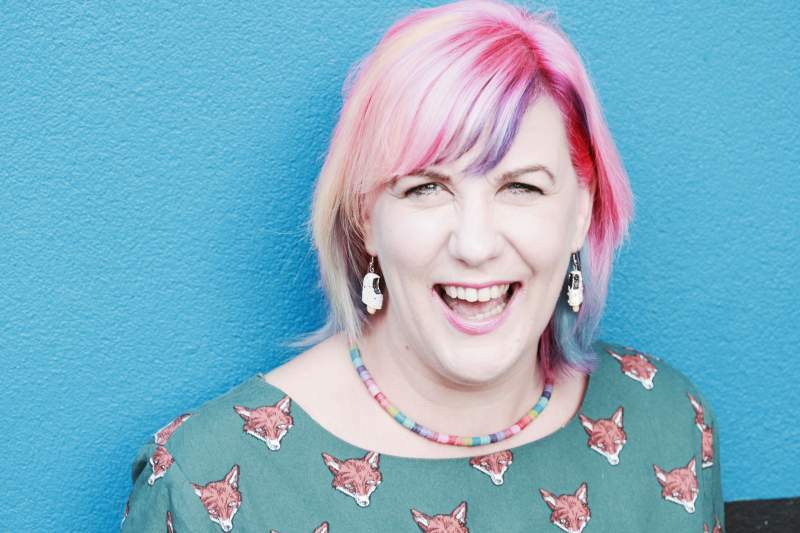 When Kate Fox first worked at Metro Radio in 1998, she wasn’t allowed on air, and she’s still made acutely aware of her Northern-ness in her work for the BBC. But Kate Fox is proud of her regional identity, saying “I’m leaning towards describing myself as ‘pan Northern’ at the moment. It’s the accent, you see – I’ve picked up a bit of everything!” Born in Bradford, she lived and worked as a radio journalist in the North East for many years and is now based in Thirsk. Having completed a practice-based PhD in 2014 which explored ‘Class, Gender and Northern Englishness’, she compiled a long list of Northern women past and present who’ve achieved great things, which has led her to her show Where There’s Muck, There’s Bras. Back when Kate was drawn to watching late night TV comedy competitions, she developed a passion for stand-up and when she added poetry into her performances, she began to build up a career. She discovered that through comedy, she could open up the conversation about serious issues that she would not have been able to otherwise broach – “I’m pretty sure that I wouldn’t have got away with openly discussing my desire to not have children in any other format,” admits Kate. All those exhausted women in the audience who may never be remarkable in the eyes of the world can find acceptance, affirmation, encouragement and inspiration with Kate Fox and this great company of women. Where There’s Muck, There’s Bras is performed at Middlesbrough Town Hall on Friday 15th February; The Hullabaloo, Darlington on Friday 1st; Northern Stage, Newcastle on Wednesday 13th; and ARC, Stockton on Saturday 23rd March.